Did you know that your iPhone has a feature that locks down your phone, making it unusable, while you get a much needed break? When enabled, this setting can be set to automatically reply to your texts, letting your friends know that you’re offline. Lucas Zanotto makes the funnest kids apps. Bandimal, a music composer, is crazy adorable. 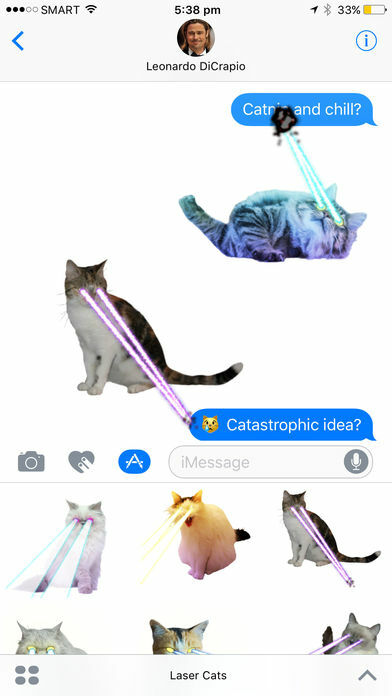 My friend sent me an animated laser cat sticker this morning and it made me laugh out loud. It scanned the entire text message with its laser eyes. Hilarious! 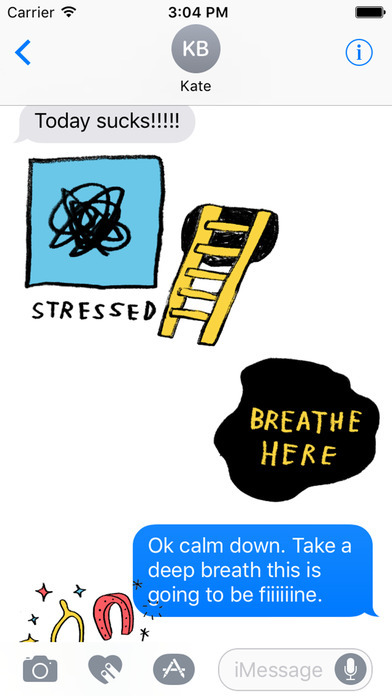 One of my favorite GIF makers, Thoka Maer, just released a digital sticker set. 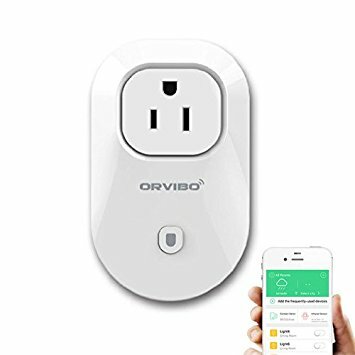 I just installed a Orvibo Wi-Fi Smart Socket so I can turn on my A/C, cool down my apartment, when I am on my way home during the hot NYC summer days. The app is beautifully designed and easy to use. I am ready for you, summer! Space by Tinybop from Tinybop on Vimeo. Tinybop just launched their latest educational app for kids: SPACE Can’t wait to show my six year old tonight!! 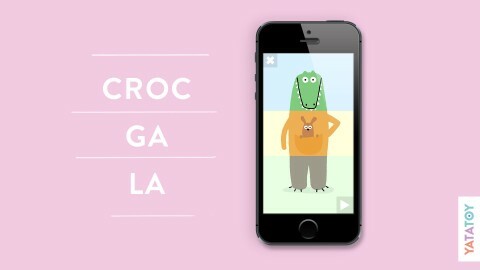 The latest app by Tinybop, called Me, launched last week and I wan’t wait to show it to my six year old. Me asks kids 100s of questions about their feelings, their families, friends, school, and home, with words, pictures, photos, and sounds to create a vibrant, dynamic self-portrait. Me aims to help kids build skills like self-awareness, social awareness, and emotional literacy. The app is based on research suggesting that the better kids understand themselves, the more able they are to be empathetic and understand others. Learn more about Me and find additional resources to help raise a good human. The makers of Universe stopped by at our FRIENDS Happy Hour last night and presented their new app. Everyone was blown away. What a beautifully experimental iPhone app they have built! They have most certainly created a new medium for the mobile world. 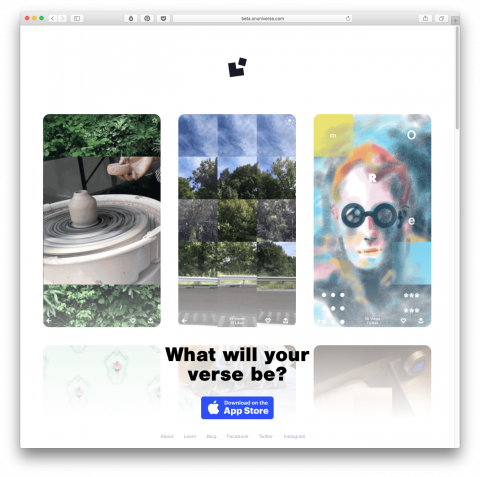 The app’s atomic unit is a verse, a 3×5 grid for infinite creativity: art, stories, interactive experiences, radical video collages, immersive soundscapes, musical instruments, even games. Or you can go the practical route and make a portfolio, invitation, how-to guide, recipe, or even a business card. Download the App, look at examples, then learn how to use it. I can’t wait to see my ten year old play around wit it! So many possibilities! Since the new Apple iOS update texting has become way more fun! These iOS ‘stickers’ by Adam JK are the best! 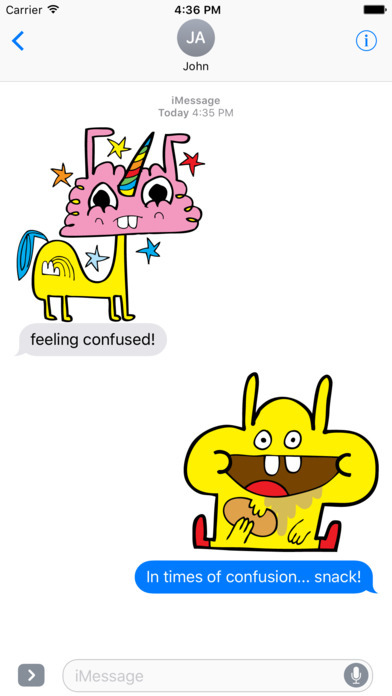 And these iOS stickers by Jon Burgerman are my kid’s favorites! What are your favorite iOS stickers? Any recommendations on what I should download? Tinybop just launched The Everything Machine. 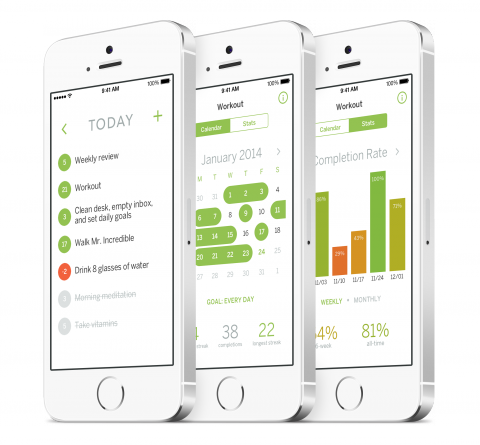 It reminds me a bit of IFTTT but for your iPhone or iPad. By using a visual programming language The Everything Machine lets you connect the camera, microphone, speakers, light, gyro- scope, and display on your devices. I don’t think I have been this excited over an iOS app since Monument Valley. Tinybop really experimented with this one. I love experiments. I have been anticipating the Tinybop’s Robot Factory release for months! The day is finally here! Build a robot and then see them walk, or not, depending on how your construction skills hold up. So much fun! Who doesn’t love to build robots? Exactly. As someone who tries not to type anything longer than one or two sentences on my phone, I could see myself using this keyboard by Waytools when on the go. 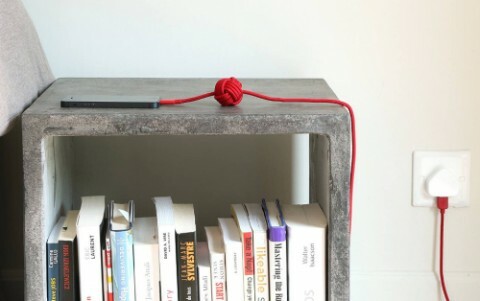 A smartly designed retro inspired iPhone charging cable: The weighted knot anchors the cable on any flat surface so it’s always there when you need it. 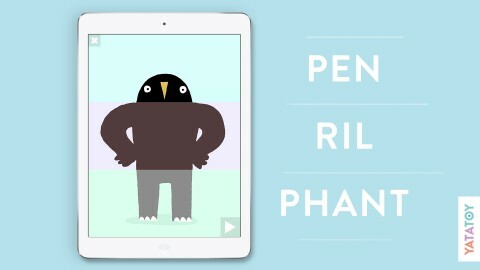 Miximal is one of these kids apps that I secretly play with when the kids are in bed. It allows you to mix and match over 1000 unique animals. 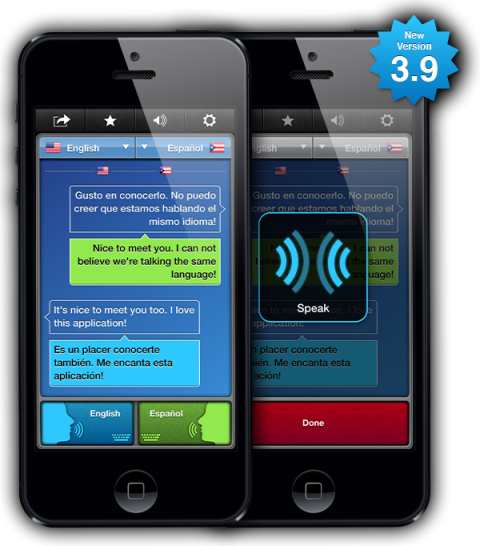 Miximal is available for iPhone and iPad and in 5 languages: English, Spanish, French, German and Italian. Now this is an iPad stand after my own heart: I like YOHANN. I am so incredibly excited for my friends at Tinybop: They just released their second iOS app called Plants, a vibrant, interactive diorama of the world’s biomes! Plants is the second app in Tinybop’s Explorer’s Library. The first, The Human Body, reached the #1 spot on the App Store’s education charts in 143 countries and was named one of the App Store’s Best of 2013. Like the Human Body, Plants is a slow-play app which aims to help kids make connections about the world and prompt big questions. Can’t wait to explore it tonight with my kids! Buy Plants for $1.99 in iTunes. And most of all, make sure to check out this epic (!) stop animation by Kelli Anderson. My kids *love* taking photos with my iphone, which results in thousands of shots cluttering up my library. KidCam is about to solve that. It’s a brand new photo app for kids that limits the number of photos and videos your kids can take. After the limit is reached, the oldest photo or video will be deleted to make room for any newly snapped photos or videos. But the best part is that it keeps a separate photo roll/library. 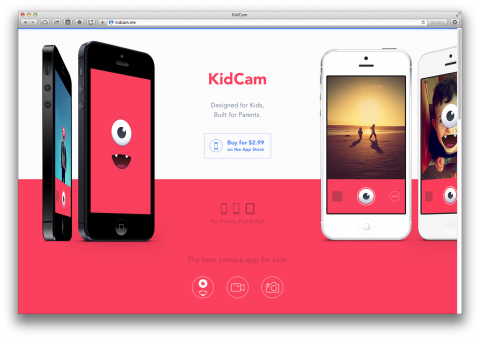 And as for younger kids tapping a shutter button can be difficult, KidCam gives you the option to tap anywhere on the screen to snap a photo or record a video. And, my son of course, is mostly excited about the monster overlays! 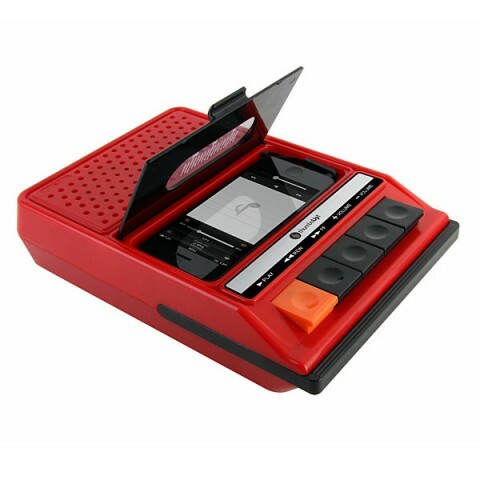 This retro cassette player iphone speaker made me chuckle. Probably sounds horrible, just like the original I had when I was a kid, sans iphone. I have been trying to change up my daily routines a bit and form new habits. So, when Jessica told me about Habit List last night I made sure to download it asap. It looks just like the app I’ve been waiting for to help me stay focused and on track with my new daily goals. It’s the little things that make a big difference, isn’t it? 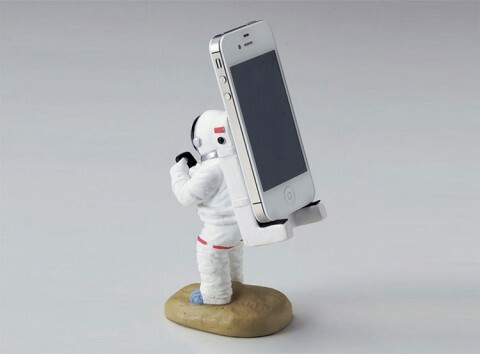 This Astronaut Smartphone Stand made me look. Peek Calendar just totally caught my attention. As someone who spends *a lot* of time in my calendar, I am craving a more enjoyable interaction, especially when on the go. 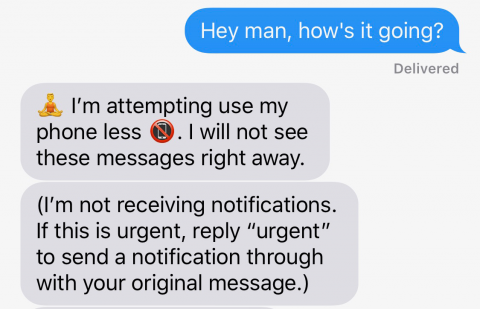 Peek aims to add a human touch on calendar experience. Consider me intrigued. I’ll download the app. Buddhify teaches you to meditate and relax on the go. Totally giving this app a try. Thanks Lifehacker.